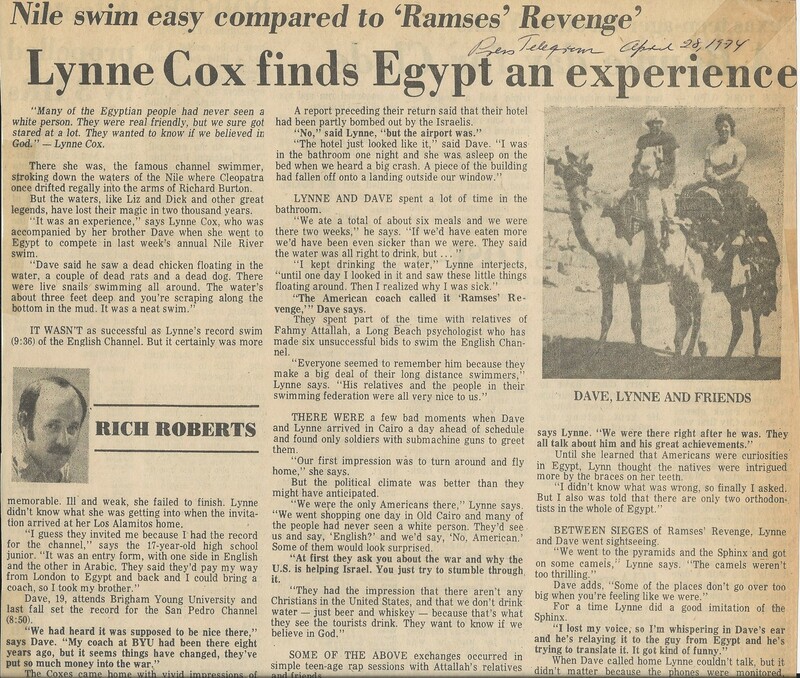 Lynne was invited to compete in an international swimming race in the Nile River by the Egyptian government. The water was extremely polluted and during her training in the River Lynne became very sick. She competed in the race anyway and she passed out and was pulled from the water for the only time in her career.